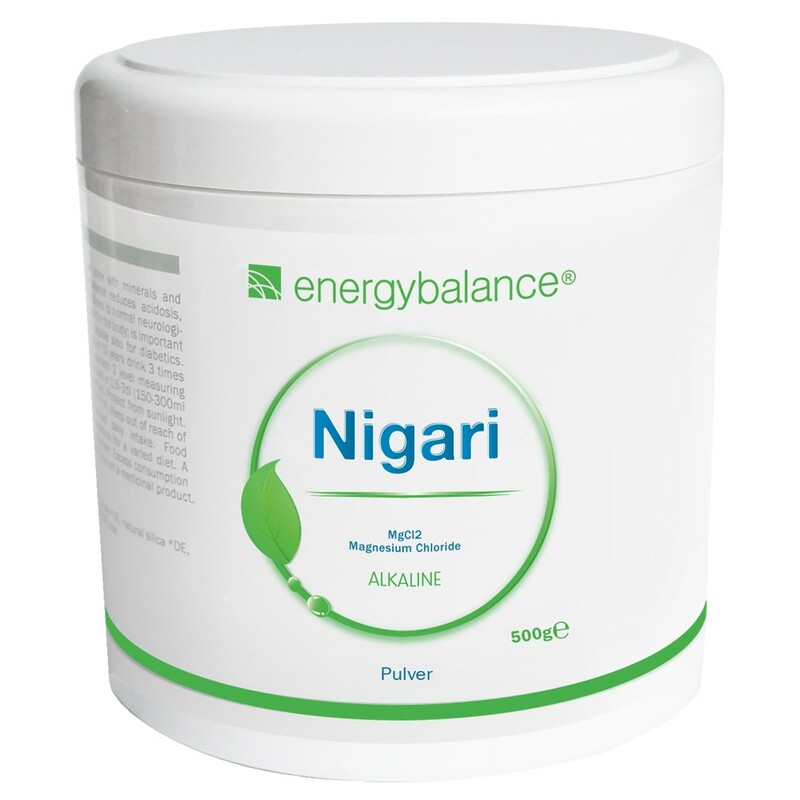 Nigari is an Epsom salt containing natural magnesium chloride traditionally harvested from seawater in Japan. In lieu of the nuclear plant disaster in Fukushima, we have decided to offer food grade quality magnesium chloride from Germany instead of nigari. "Nigari is an Epsom salt containing natural magnesium chloride traditionally harvested from seawater in Japan. In lieu of the nuclear plant disaster in Fukushima, we have decided to offer food grade quality magnesium chloride from Germany instead of nigari. Nigari is a clotting agent traditionally harvested from seawater, which is typically used in Japanese cuisine to make tofu. The main ingredient of un-refined nigari is magnesium chloride, but it also contains more than 100 additional mineral salts like calcium chloride and potassium chloride. Plant-based, gluten-free and suitable for diabetics. Twice (morning and evening) dissolve 3 measuring spoons* (3x0,5g=1,5g) in a glass of water and drink preferably on an empty stomach. * The measuring spoon is provided in the jar.